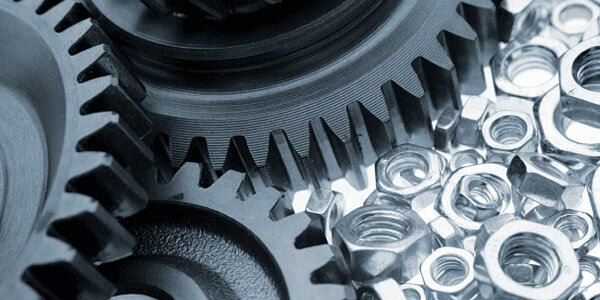 Manufacturing operations play a critical role in a company’s profitability. Efficiency and high productivity enable manufacturers to better cope with increasing customer expectations while managing costs and supply chain processes. The manufacturing industry is looking for new ways to align the supply chain and production with customer demand while increasing efficiency and profitability of the operations, with the ability to deliver powerful, advanced communication solutions. Today, even for small manufacturing firms, an entirely domestic supply chain is frequently the exception rather than the rule. As a result, manufacturing firms are relying more and more on information technology to keep costs down and processes more efficient. With our VoiceMailTel’s Manufacturing Service Phone Service, you will no longer need to invest in dedicated devices for call processing or maintain separate networks for videoconferencing. The enterprise will communicate better with its employees, leading to higher-quality products and higher company morale. In the Manufacturing business you need to have an big business image, even if you own a small or even home-based business, but office and cell phones, fax equipment and more are the major costs for all the companies involved in the Manufacturing Service. VoiceMailTel has the solution to your needs. VoiceMailTel offers the choice of a Toll Free 800 Number to reduce all the communication costs and to supply your costumers with a cost-free method to contact you. Local numbers also have a big impact on the customer’s decision to work with you. In many cases, a customer options to work with a local business. VoiceMailTel offers you the solution. Callers can use one telephone number to reach any person or department. Employees can easily transfer callers. And customers can quickly reach customer service representatives for assistance. Now you can create the impression of a single office, regardless of whether you and your employees work from different locations. This feature allows manufacturing firms to provide more information electronically by phone, while they are on hold, saving the costs and inefficiencies of primarily paper-based record systems. It is also possible to simply choose your favorite music-on-hold professionally recorded, and then upload the recordings to your account. With VoiceMailTel Manufacturing Virtual Phone Service your incoming calls will be transferred away from your office so that you are more accessible and your main line is available for other incoming calls as well. The advantage is that you will no longer restrain your mobility and your callers will be able to contact you at any time; callers who dialed your Toll Free or local number will be routed to your cell, home, and office phones. That means more satisfied clients. G.R.E.Y. Manufacturing is a small firm with 4 employees interested in expanding their business without the need of a big investment. They have tried a considerable amount of answering systems to tunnel inbound calls to the right representatives within the firm, but the costs were high and besides that calls were dropped or leads were being missed. They needed a service to take charge of this problem. VoiceMailTel’s Service for Manufacturing firms was the best solution. Now callers are routed to the right resources to meet their requirements. They are greeted with a “big company” professional system that quickly connects them to the right person or mailbox and the best thing is that costs were reduced to a small fraction of what they used to be.